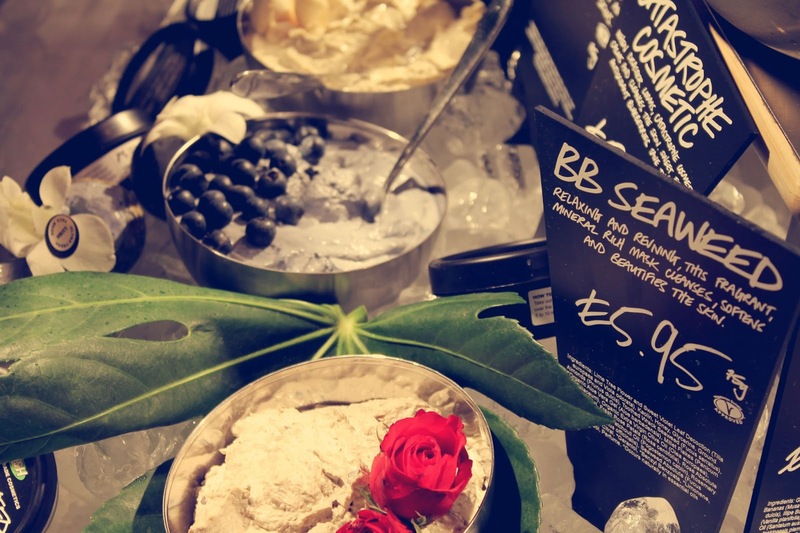 It is no secret that Lush are one of my favourite shops. In fact, I’ve had to fill in a couple of forms online recently where I’ve been asked who my favourite brands are and Lush are always at the top. I still have several of their Christmas gift boxes stacked in my living room from where I went mad in their Boxing Day sale so Lush bath bombs and soaps are currently a nightly tradition for me and I also regularly purchase bits from their Skincare range and am a long-time devotee of Dream Cream, so I was particularly excited to receive an invitation for their Poole store reopening last Thursday. The promise of champagne, vegan cupcakes, spa tours and demonstrations by staff more than convinced me, and Hannah and I both trundled down there to check it out. When we arrived it was clear to see it was a very busy affair! People were piling in from the street to get a look at the new refit and there was a queue round the corner just to get in. Luckily we found a tiny bit of respite in the spa area, though again several rooms we weren’t able to look in as they were full of people. 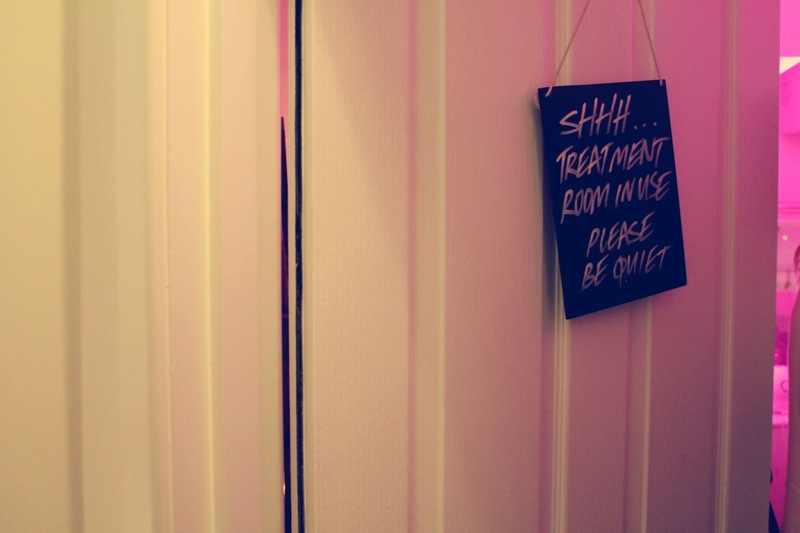 The spa rooms are just beautiful with thoughtful, unique touches like fresh flowers and vintage furniture. 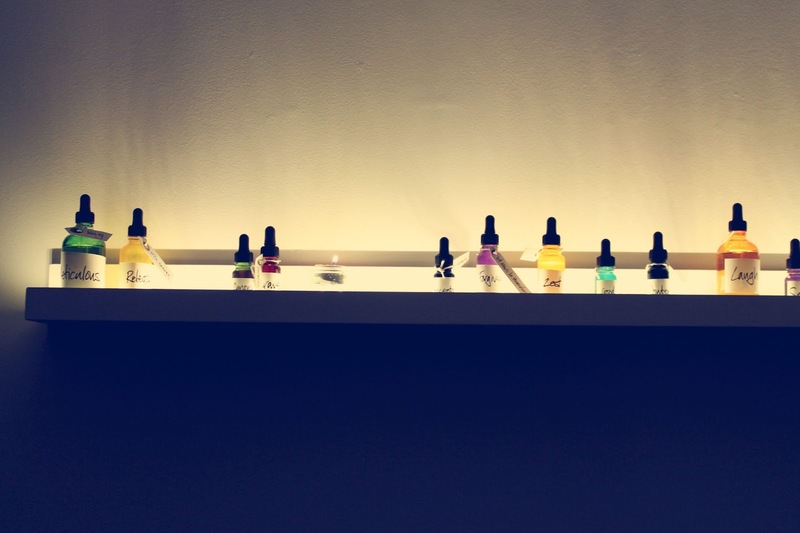 We were particularly intrigued by the Synaesthesia treatment, where you choose a word that is then linked to an essential oil which is placed in steaming pots around the room, along with being connected to the sounds playing in the room and even the tea they give you afterwards! Very clever. Hannah has been for a spa treatment and wanted to show me the amazing shower they have, complete with lots of Lush products in the bathroom. 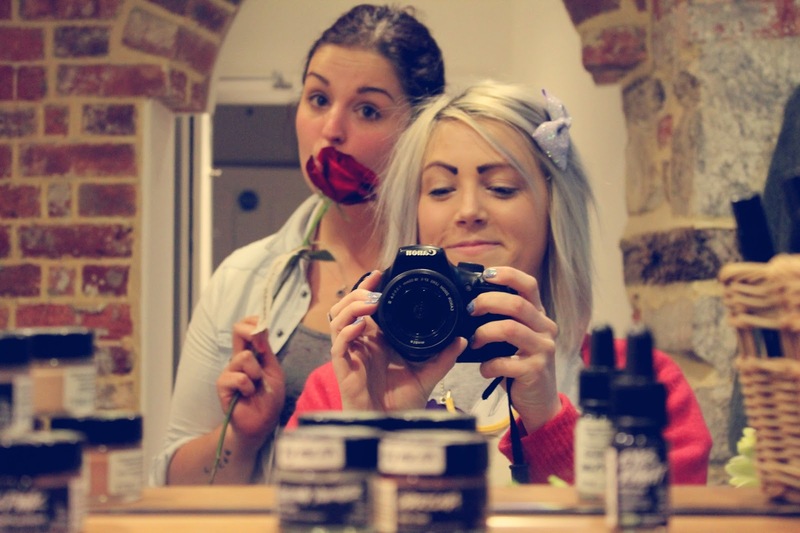 Here is Hannah and I… obligatory mirror shot! I was really keen to get a better look at some of the face masks and other products but it just wasn’t possible as it was so busy – I’ll have to make a return visit soon. 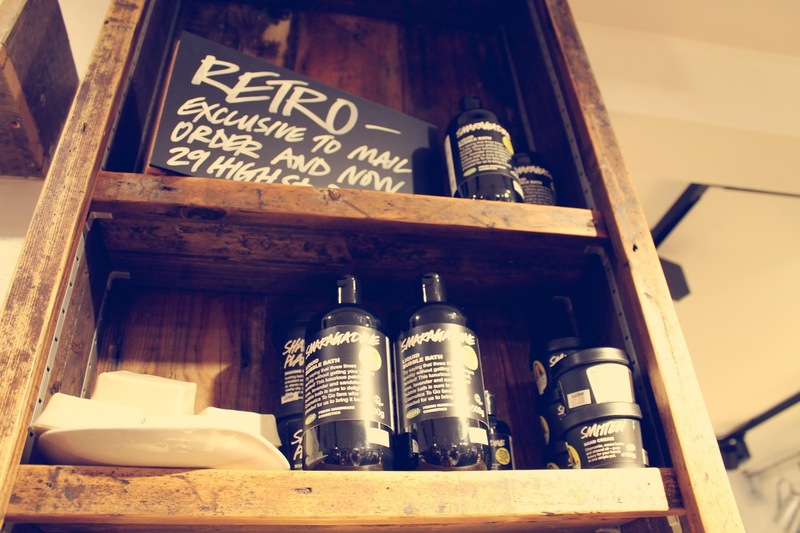 They have a Retro section which is exclusive to the Poole shop and mail order and features products from Lush history (products that are back by popular demand). 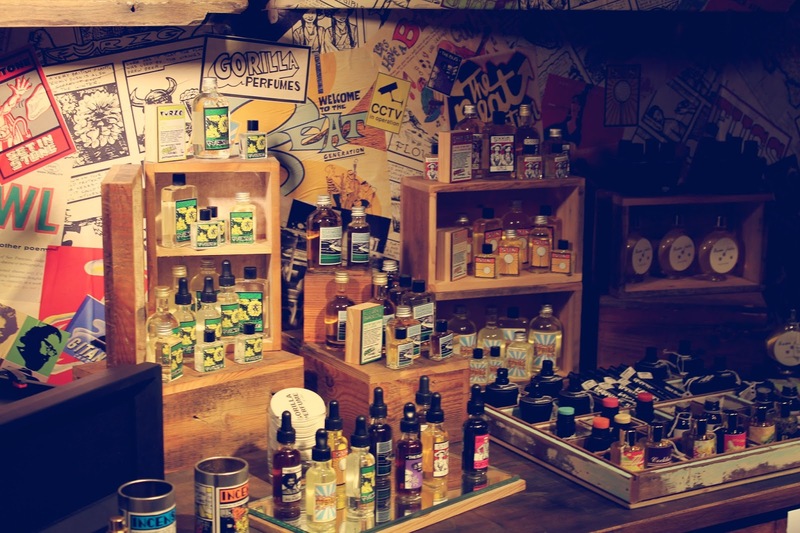 They also have a section dedicated to perfumes – I tested a really lovely perfume that smelled like Lush shops called 29 High Street, I’ll definitely be snapping some of that up. 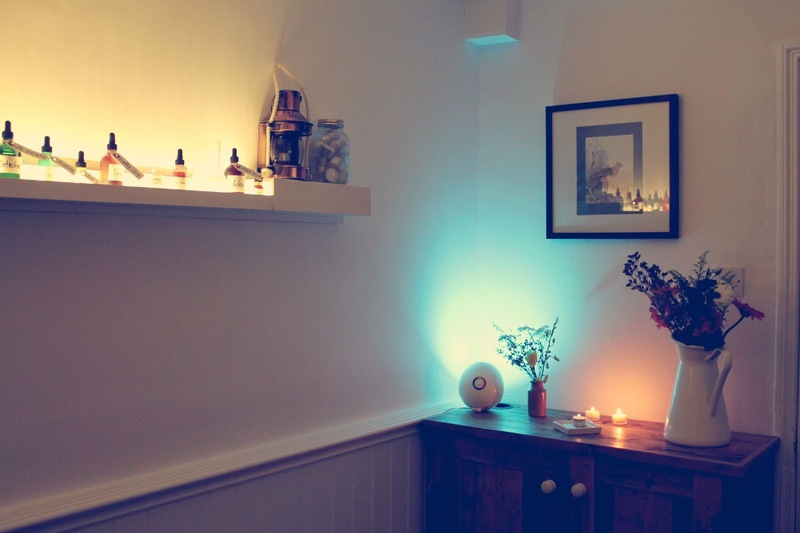 All in all the shop looks beautiful and I’d love to go for a spa treatment as they just look out of this world. I’ll definitely be returning on a quieter day to pick up some perfume and have another look at all the products on offer.